For many, “Montreal” conjures images of snow-laden cobblestone streets in the historic Vieux Port, hockey and Canuck cuisine like maple syrup and the (in)famous poutine. The largest city in the Francophone province of Quebec, and the second biggest in the federation, it has a rich history of animation stretching back to Norman McLaren at the National Film Board (NFB). 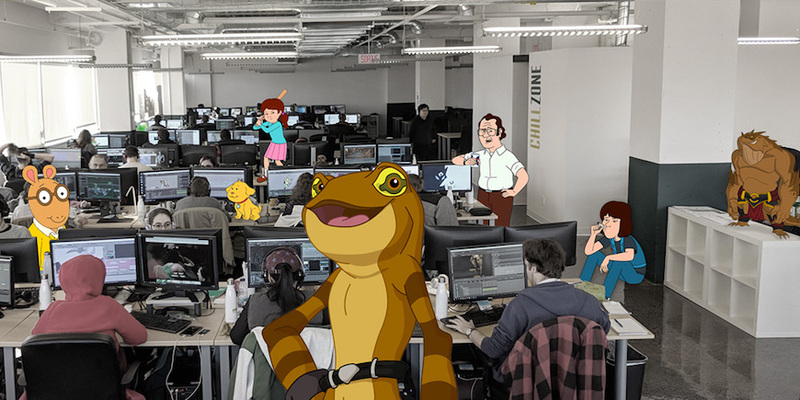 Today, government tax incentives, leading educational institutions and innovation led by Toon Boom Animation have helped transformed Montreal’s local industry into a global digital media production hub. Montreal has the highest industry concentration in Canada — with over 3,000 specialists working in 3D and 2D animation and visual effects, and the Quebec Film and Television Board (QFTB) forecasting a 65 percent boost in employment by 2020. According to Hubert Bolduc, president and CEO of economic development agency Montréal International, 13.6 percent of investments his organization facilitated in 2017 were in this sector. The Government of Canada reports Quebec’s animation and visual effects industry generated contracts worth $262 million in 2017 — and is rapidly expanding. It saw a whopping 190 percent in job growth between 2013 and 2018, and a 27-percent increase in business volume annually since 2009. As studios and productions flock to Montreal, its legendary joie de vivre lifestyle is a further draw for young talent; the city has the fourth-highest quality of life in North America. “The established tax incentives brought larger players to town, which rapidly increased both the pool of talent here in Montreal as well as the aspiration to innovate. The community evolved and, with the continued financial support of government schemes and funding opportunities, it is easy to understand why digital media production thrives here,” explains Lee Thomas, head of marketing and public relations at Double Stallion Games. Among the most prominent production companies locally is Oasis Animation — the largest 2D animation studio in Quebec with projects including F is for Family, Arthur and Pérusse Cité. Last year, it announced a $3.33 million major expansion that will see it boost its production capacity, increase and modernize its infrastructure, and grow its team with 100 new digital animators, effectively doubling in size. The studio is not only drawing in top talent, but developing it by becoming a Toon Boom Authorized Training Centre (ATC). Built directly into Oasis Animation’s headquarters, the ATC is the first of its kind in Canada and will train young artists in Toon Boom animation software including Storyboard Pro and Harmony entirely for free. Made possible by support from the governments of Quebec and Canada, it will help the studio meet international demand for original content. 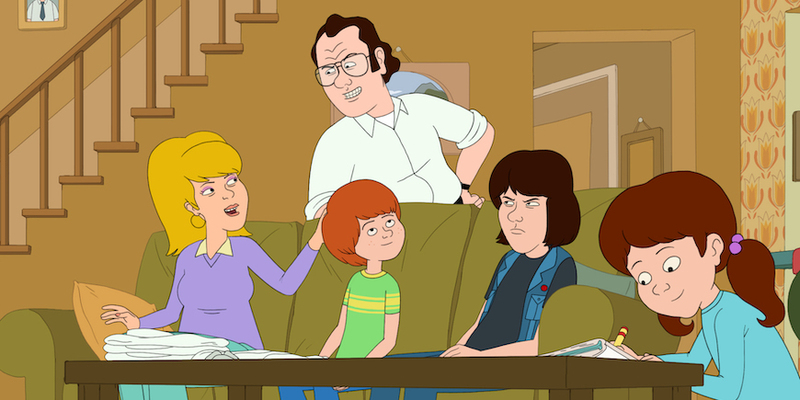 “Although many of our productions, such as Two Nuts and a Richard (Teletoon at Night) and Ben’s City (Société Radio-Canada/CBC), have made their mark in Quebec, more than 50 percent of our revenues come from outside Canada, mainly from the United States. In 2018 and 2019, more than 80 percent of our revenues will come from the export of digital animation services,” said Jacques Bilodeau, founding president of Oasis Animation, in a statement. Major international studios like Cinesite, ON Animation, Reel FX, Mill Film, Digital Domain and Caribara have also recently arrived in the city. Caribara Montreal is the first North American and fourth overall location for the French production company, with outposts in France, Belgium and, now, Quebec. Its Canadian studio will be dedicated entirely to creating 2D animation in Toon Boom Storyboard Pro and Toon Boom Harmony. Established as a partnership between Caribara and TouTenKartoon, a local studio with a 20-year history, Caribara Montreal will allow its French mother company to benefit from tax incentives in three countries. In Quebec, this can be as much as a 42-percent in tax credits for production and labour costs. Among Caribara Montreal’s projects to date are the Emmy-winning children’s series La Cabane à Histoires, The Ollie & Moon Show, 2D sequences for video game developer Ubisoft Montreal and French clients including a sequence for Parc Asterix's next attraction — and more are in the pipeline. “Montreal is the spot to be right now for 2D animation — we are very excited because the whole industry is growing so rapidly. We have so many projects in the pipeline at the moment and I know it’s because we are based in Montreal,” says Guillaume Dubois, CEO of Caribara Montreal. Caribara Montreal currently has 10 employees and is actively recruiting (see job postings and apply here), with that number expected to grow to 50 by mid-2019 and 100 by next year. It is also collaborating with France’s Campus Pivaut to develop an environment that harmonizes the studio and school, to create a unique space dedicated to developing 2D animation skills locally. Fortunately, when his team needs to learn something, they can always get it firsthand from Toon Boom trainers. “Toon Boom may be a huge software, but they are always responsive when we need something like developing a new tool or to answer support questions. It’s great being in Montreal and close to them,” Dubois notes. The Montreal industry’s rapid rise can be tied to education and training — specifically, Cégep du Vieux Montréal’s (CVM) three-year 2D animation program, the only public program of its kind in Quebec. Launched in 1999, the Toon Boom Centre of Excellence (COE) admits 45 students annually into its respective 2D and 3D courses, with around 30 graduating from each every year. Perhaps most amazingly is, for Quebec residents, it only costs $100-150 per semester. Having previously been paper-based, the CVM 2D animation program is incorporating more digital skills and tools. While it is still focused on hand drawing, now its young artists are employing tablets exclusively instead of sketching on paper and scanning into Toon Boom Harmony. Additionally, it’s using the industry-standard software to teach students to maximize future-proofed skills like cut-out animation, rigging and mastering features like deformers. “When I started out in Montreal in the early 90s, half the animators were graduates of Sheridan College. Now, most of the industry here were trained at Cégep du Vieux Montréal, which is hugely satisfying — that’s what we’re here for,” remarks Pierre Grenier, head of Cégep du Vieux Montréal’s animation department. His 2D animation students begin with the basics of animation (think: anatomy, perspective, drawing on paper) and work their way up to a final project in their third year. This assignment is distinctive from other schools’ offerings as it focuses on individual work as opposed to teamwork. Students conceptualize the story, design the characters and locations, and tackle the entire animation process — from clean-up to colouring to compositing. This well-rounded experience equips CVM’s students for studio work, with Grenier estimating that two-thirds go straight into the industry after graduation (if not before). Plus, they are able to screen their work publicly at the school’s annual Gala de fin d'études, with production companies from Montreal, Canada and North America eagerly in attendance. After the event, students and studio reps adjourn to a networking room where interviews are often booked on the spot. Grenier guesses around three-quarters of grads stay in Montreal working at studios like Oasis Animation or even at Toon Boom HQ — with good reason. According to Nestpick, the city was ranked the second-best in the world for Millennials last year and is one of the most affordable in North America to live and start a family. In turn, Grenier believes this steady flow of Toon Boom-trained, home-grown talent encourages studios to accept contracts. And it’s not just students and studios benefiting from Montreal’s animation boom. Video game developer Double Stallion Games released its latest title in 2018, Speed Brawl — a 2D, hand-drawn-style game animated in Toon Boom Harmony. It is leading a new wave of indie creators disrupting the contemporary gaming industry with classic aesthetics, while delivering on action and fun. Montreal is already recognized as a video game hub, behind only Tokyo, London, San Francisco and Austin. Interestingly, because of the unique hand-drawn style it uses for its games, Double Stallion sources most of its artistic talent from the local television animation industry. Being in close proximity to Toon Boom’s headquarters has allowed for a supportive, mutual exchange of innovation and ideas as it realizes its unique vision and pipeline. “At Double Stallion, we’re creating an entirely new end product for Toon Boom’s tools whereby the actual characters you play with are animated with Toon Boom software and are placed directly into our game engine. It’s been a very creative process over the last few years, requiring the cooperation of both animators and programmers working in tandem to deliver the Speed Brawl experience we envisioned,” says Thomas. Bringing creative visions to life has always been core to Toon Boom Animation’s mission. As the company celebrates its 25th anniversary in 2019, a quarter century of hard work is paying off — a story told through Montreal’s thriving, self-sustaining animation ecosystem and many more just like it around the world. Looking forward, the local industry can set its sights on even larger global aspirations, which for Grenier means more movies. “Maybe it’s wishful thinking, but I think we’ll see more feature animation here in Montreal,” he notes. Given the Montreal animation industry’s certain je ne sais quoi, there’s no reason to see why he wouldn’t be right. 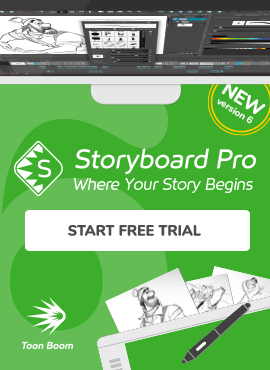 Download your free 21-day trial of Toon Boom Harmony today to start your Montreal animation journey!